Are you interested in volunteering to help keep our Sandia Mountains beautiful and safe? If so, consider joining the Friends of the Sandia Mountains. The Sandia Mountains offer a wide range of hiking and other recreational opportunities, including more than 60 well-established hiking trails (totaling over 150 miles). 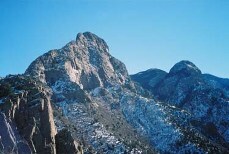 This web site is a resource to help you get out and enjoy the Sandias. The site is meant to complement the more complete information in my book Sandia Mountain Hiking Guide (UNM Press, 2005). In particular, in that book I make extensive reference to GPS information about the trails and points of interest in the Sandias. This GPS data (and much more) is available to download from the web site. 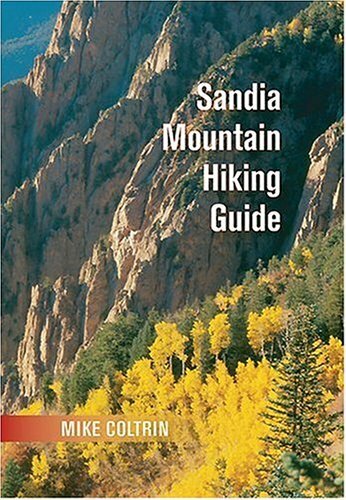 I also suggest about 25 hikes in the Sandia Mountains, with trailhead directions and maps. Click on the menu item "Hiking Trails," above for this trail information. More complete descriptions and details can be found in the book. I've given the web site its first major "facelift" in many years, so I hope you find it useful. Drop me a note sometime to let me know about your hiking fun in the Sandias, or with any comments or suggestions (Mike@SandiaHiking.com).